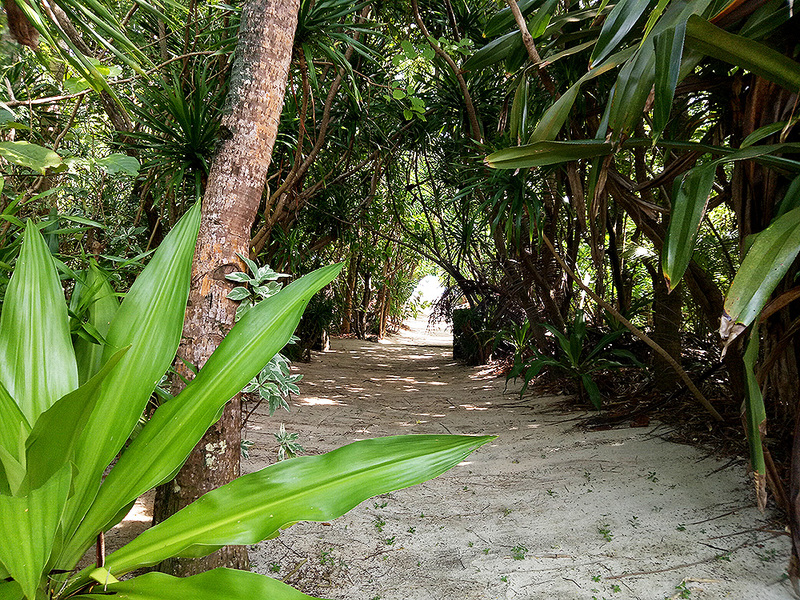 Islands allude to dreams of tropical Elysian paradise; an escape from the wild rat race far from the workaday clamor and away from the chaotic world, a quintessential patch of sand where you can relax under rustling green palms and gaze at a serene blue sea. But not all islands were created the same, I know. I've been to many majestic islands in the Philippines, many of which I couldn't count anymore. The charm of some is defined more by the sea that surrounds them, which can beguile connoisseurs with its crystalline clarity and thriving coral kingdoms, luxuriant jungles and velvety peaks. Some islands enchant travelers with their cultural jewels. Whether it's sublime beaches, stunning topography, or exotic cultures, but one island, during my media trip to Camarines Norte, above all else, caught my heart — I think I just found my very own Shangri-la in Camarines Norte — the Parola Island - the secret paradise island of the Gods of Bicol. Parola, Tailon, Tunao, Pink Beach, Huuu-what? 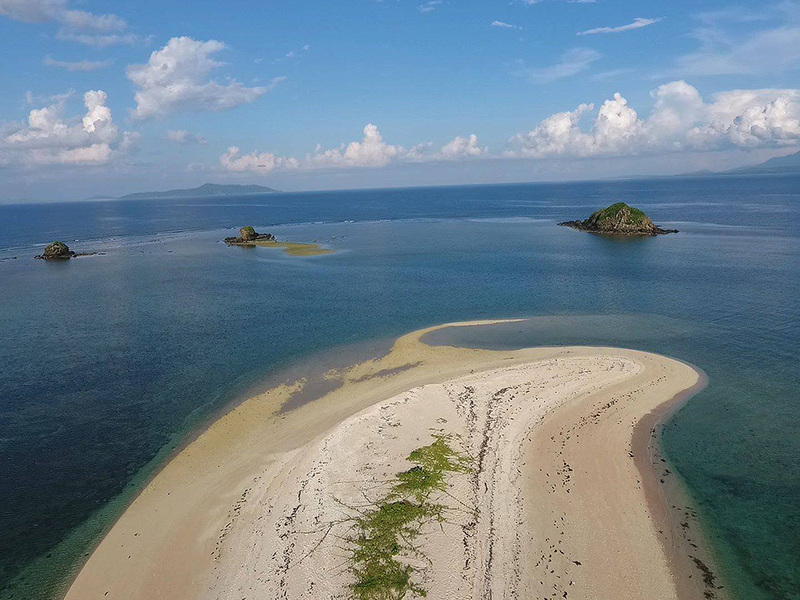 The Parola Island is also known as "Tailon Island", maybe because it is shaped like an eagle's talon from up above, hence the name Tailon. 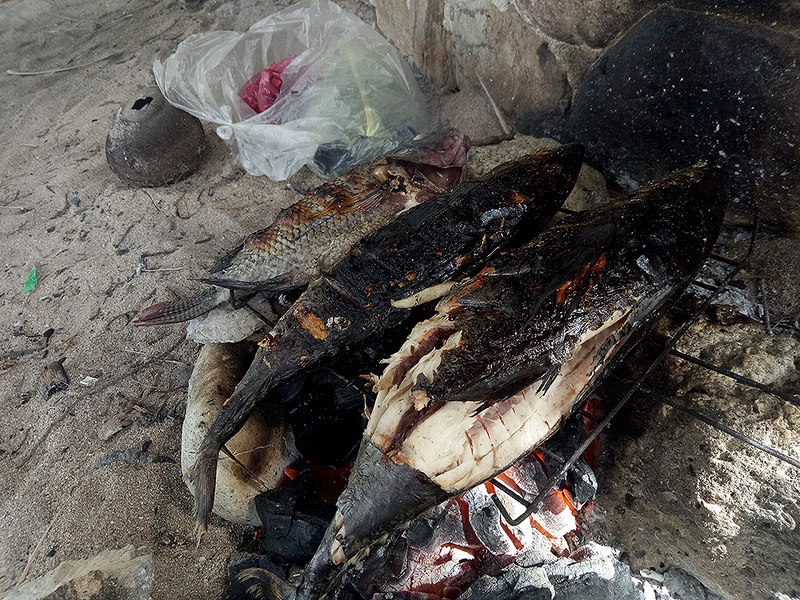 To the fisherfolks of Jose Panganiban, they call it "Tunao". It is also known to many as the "Parola Island" because of the old lighthouse standing on the head of the island. It is aptly dubbed to as the "Pink Beach", for its fine stretch of white coral rocks and golden sand embedded with a hue of magical salmon pink when the calm salt water roughly kisses its shores, mostly evident when the sun sets during its final hours. 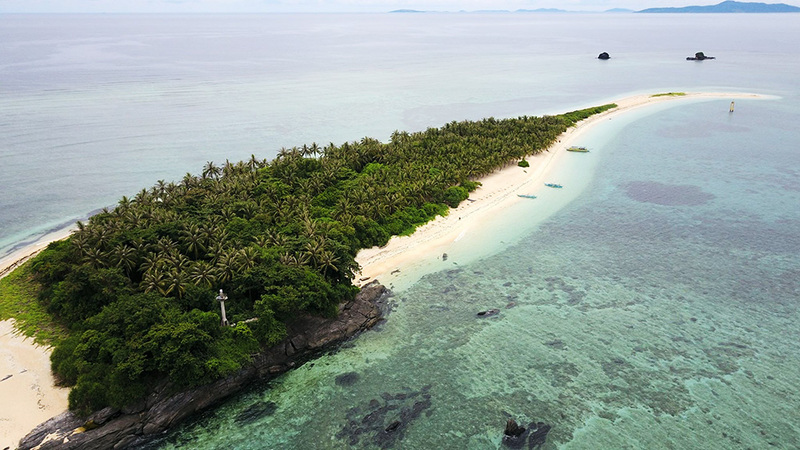 The Parola Island is only accessibly by boat and it is strung in the pristine sea waters of Jose Panganiban — town in the province of Camarines Norte — a forty-five minutes boat ride from the mainland is all worth it for this Bicol hidden gem. 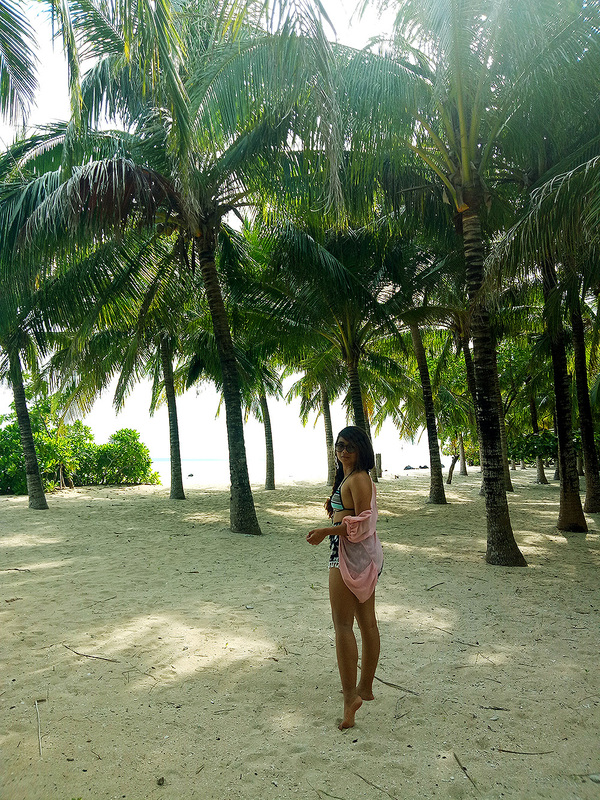 It is a picturesque tropical island beach that boasts its enticing raw beauty: perfectly lined emerald palm-studded forest, calm sea water in technicolor turquoise, and guiltless golden sand. 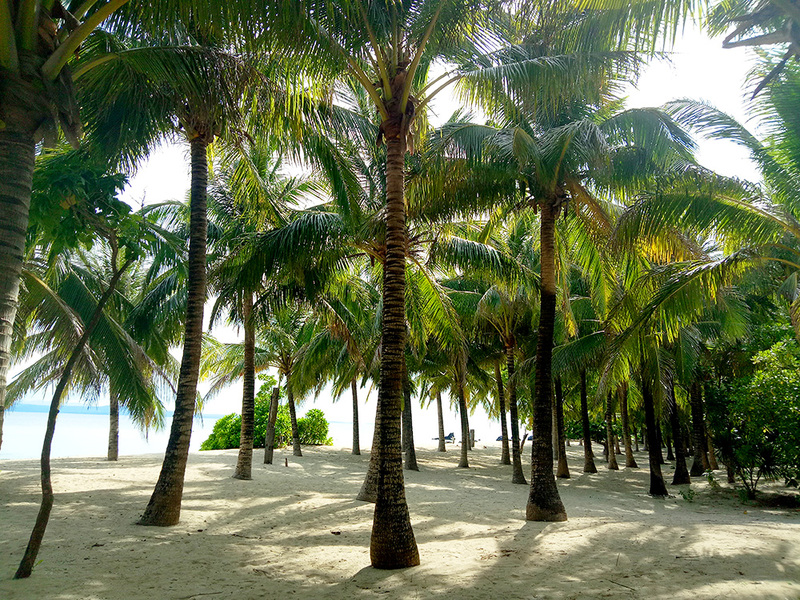 Parola Island prides itself the beauty of Bora-Bora without the price tag. 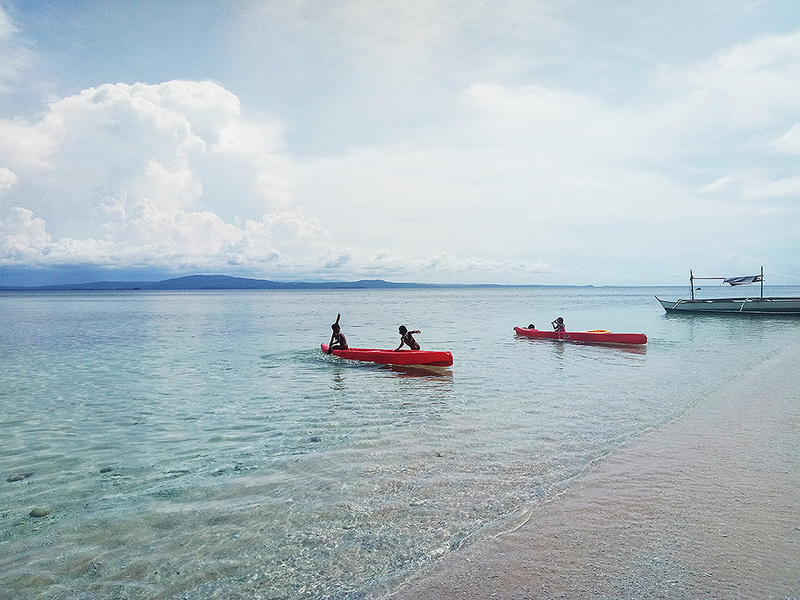 Indeed, Parola Island was my hallelujah moment, the first time I set foot on its sand. I always dream of being a castaway in the Pacific, and if it is, it has to be this island. I could just imagine myself basking in its unparalleled beauty under its crayola green palms as I fall asleep to the gentle slosh of the sea and living my Robinson Crusoe fantasies. 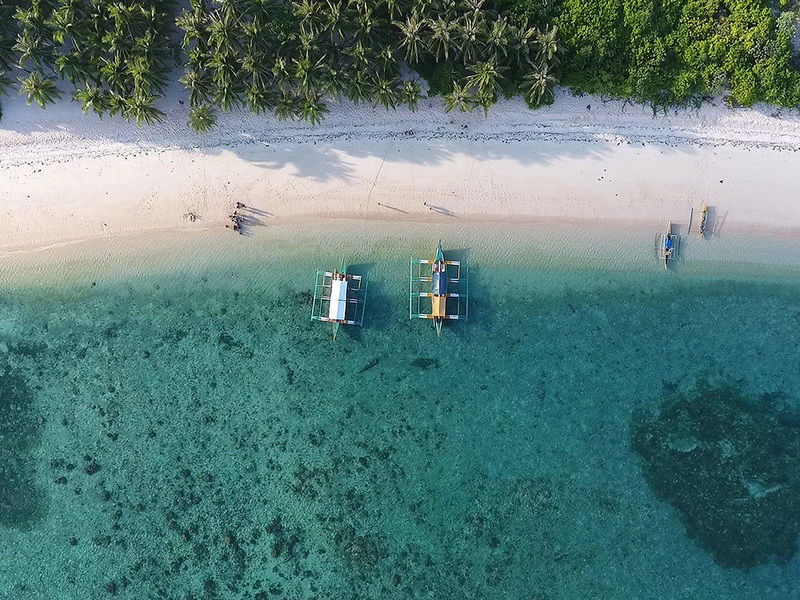 Explore the undersea life - There is no doubt that the Parola Island has impressive beaches in its own right — but the snorkeling is equally pleasant. Go snorkelling and discover Parola's undersea life. There are no snorkelling or diving effects for rent in the area so I suggest you bring your own. Yup, I regretted all right. Fish without a fishing rod - Before leaving the island, Dean and I happened to chance upon a local woman catching fishes without the help of any fishing rods. Curious, we approached the woman and we asked how she did it. Gladly, the woman showed how she's doing it and even let us do the fishing. First, the bait. In this instance, the hermit crabs were the baits; hermit crabs are abundant in the island. The woman then grab the hermit crab out of its shell, and very carefully, she attached the bait to the fishing hook which was knotted to a nylon cord. She then picked up a coral stone, placed the hook on it, grabbed the nylon cord, and threw the bait with the stone on the waters. After just a few moments, she began pulling the cord back and the fish was hanging on the end, wiggling for its life. I tried fishing too, but unluckily the fish got away. Find the Parola (lighthouse) - Going to the Parola island is not complete without getting a chance to see the lighthouse for yourself. After all, it's the reason why the island got its name Parola, right? Located on the head of the island is the rustic lighthouse, going to rack and ruin. It is not much but it did serve hundreds of boatmen for once it was. To get there, there are travel and tours organizers offering Parola Island excursions, but if you are planning to DIY it, I suggest you to coordinate and secure a clearance first with the Jose Panganiban Tourism Office c/o Ms. Ruth Marie Forteza, Tourism Officer at 0910-827-3547 and email ruthmarieforteza@outlook.com. NOTE: The island is privately owned and only 200 tourists per day are allowed. No clearance from the Local Tourism Office. No entry. By air: There are commercial flights available from Manila going to Naga Airport. The plane ride usually takes 40-minutes to Naga. From Naga, you could take a bus or public van going to Daet, Camarines Norte. There, you could take another bus or public van to Jose Panganiban. By land: From Manila, take a bus bound to Jose Panganiban or Daet, Camarines Norte. Some buses offering routes to Bicol Region were DLTB, Superlines, Philtranco, and others. Bus fares costs around PhP540+ and travel time will usually take up to 8 hours. Tell the driver to drop you off near the Jose Panganiban Municipal Office. From Jose Panganiban Municipal Office: you can walk to Larap Port at Roy Padilla Sr. Boulevard which is just a few meters from the Municipal Office. 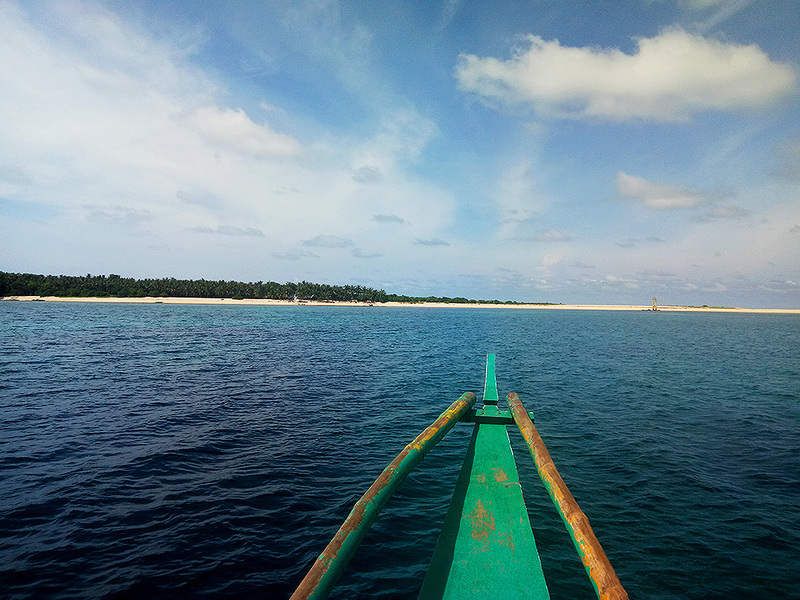 From there, you can ride a boat going to Parola Island. NOTE: What is not included deemed excluded. What did you think of the Parola Island? Will you also include it on your itinerary on your next trip to Bicol Region in the Philippines? Let me know your thoughts by dropping a comment below this post. My media trip to Camarines Norte was sponsored by the Provincial Tourism of Camarines Norte with its respective Local Tourism Offices and with Katooga.ph as a part of the #ComeToCamNorte Campaign. All views are my own. Wow, I didn't know the Philippines was so beautiful of a country! I'd definitely travel to Parola Island the next time (first time) I visit the Philippines. Yes, it is indeed a beautiful country. I hope you could visit Parola Island when you come here in the Philippines. Do let me know. ganda ng shots mo. high resolution pa.